What do movie stars, media persons, television actors and other celebrities have in common? No, it's not fair skin or the perfect figure. It's well aligned, peculiarly sharp white teeth. They have no stains, no discolouration and no kind of deformities. So how is it that they have the perfect smile? You're about to tread on a few incredible teeth whitening suggestions. 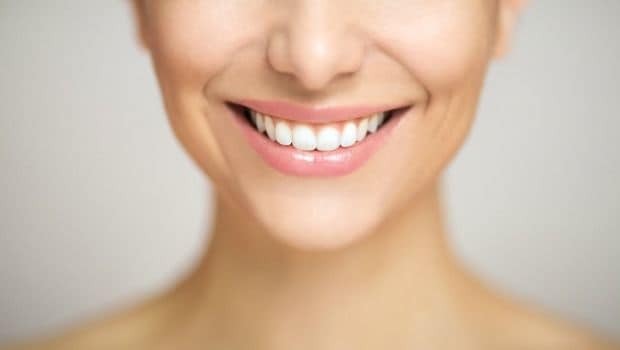 In the last few years, there has been a sudden surge in teeth whitening toothpastes, whitening treatments and over-the-counter bleaching kits. Some might even say that after fair skin, Indians are now obsessed with white teeth. Market researchers believe that this obsession isn't a result of health concerns but of prejudiced ones. Why prejudiced? Because white teeth don't always imply, clean, stain-free and healthy teeth. In some cases they're just startlingly white (bordering on glow-in-the-dark) and make for a pleasant view. According to Dr. M S Sidhu, "People nowadays are fixated with the idea of perfectly white and picture-perfect teeth. Treatments range from Rs. 4000 to Rs. 1,00,000 and we've got customers signing up for packages across this range." 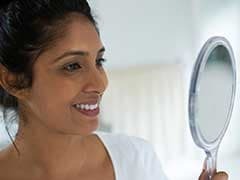 He added, "Teeth whitening treatments have been popular in the United States for many years, but it's only now that India's started to embrace them. All major brands like Colgate, Pepsodent, Sensodyne, Himalaya have introduced their line of whitening toothpastes and customers are reaching out." You can run, but you can't hide. The same can be said about disturbingly yellow teeth. Your teeth are covered with a smooth enamel that is naturally white. When that wears out it becomes translucent and reveals the lower layer called 'dentil' that is yellow in colour. The enamel wears out over time but certain habits, dietary and otherwise can accelerate it. 1. Too Much Tea Or Coffee - Excess of anything can turn out to be harmful, and same is the case with excess consumption of tea or coffee. Drinking too much tea or coffee stains the teeth. Not only do they erode the enamel but they also make the teeth stickier which causes food particles to latch on. 2. Sugary Drinks - This one's a double whammy. It's a mix of acidity and sugar, both of which are bad for the teeth. If you still want a glass or two once in a while then we suggest you drink quickly instead of sipping on it over a long period of time and rinse your mouth after. 3. Smoking - This is probably the worst cause for tooth decay and discolouration. It damages the teeth beyond repair. Not only does it make them yellow, in some cases it also leaves behind permanent grey marks that can't be removed, no matter how much you try. 4. Brushing Right After Eating - This might seems harmless and even good but dentists suggest you drop this habit. The acid and sugar produced when we eat weakens the enamel temporarily and brushing it at the time weakens it further. Ideally, wait for half an hour or more or brush before eating and rinse your mouth after the meal. There are a number of effective treatments in the market but they're not exactly easy on the pocket or worth the pain. If you're seeking more traditional ways of going a shade lighter then we've got you some solid advice. 1. 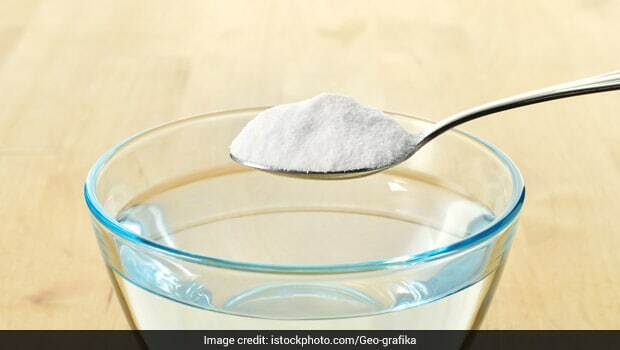 Baking Soda - Mix very little baking soda with water and pour it over your tooth brush before you start brushing. Or apply it using your finger tips and leave it on for about 1 minute. Baking soda can work wonders for your teeth but be sure to use it sparingly or it can erode the enamel. 2. Fruit Peel - Rub your teeth with the inside of a banana peel or orange peel. The peel is rich in magnesium, manganese and potassium which recharges the enamel. 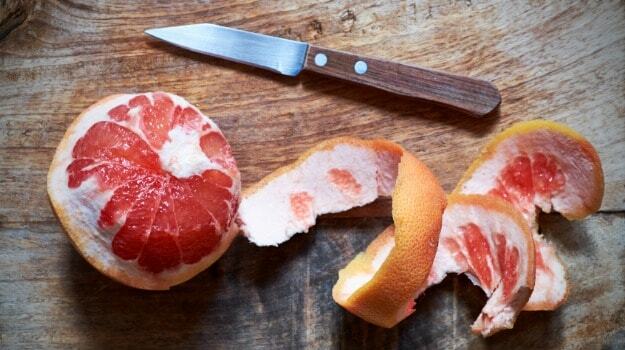 Brush your teeth a few minutes later and use the peel at least twice a week. 3. Eat Your Way To White Teeth - Include a lot of crunchy vegetables like apples, carrots and celery in your diet. They're sharp and abrasive which means they'll rub against the surface of your teeth without harming the enamel. 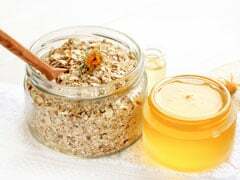 Also consume a lot of milk and milk based products as they increase pH levels and re-minelarize the teeth enamel, leaving behind a stunning shine. 4. 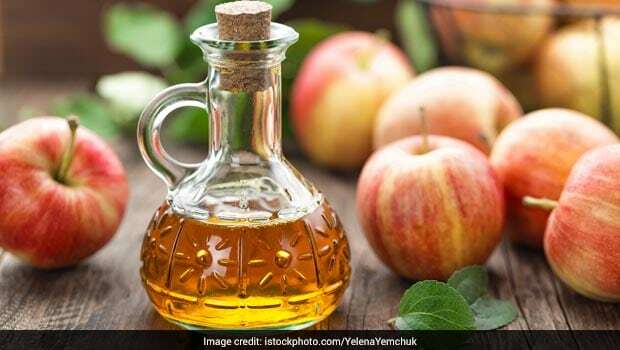 Apple Cider Vinegar - Give your teeth a nice rub with apple cider vinegar, rinse off thoroughly and repeat for a few days to get that sparkling white smile. Doing this religiously may help you to a great extent in getting pearly whites. Try it. 5. Brushing And Flossing - According to Dr. M S Sidhu, "Brush your teeth twice a day for about 2 minutes each. Ensure your brush has soft/medium bristles that don't damage the gum. A lot of Indians don't take flossing too seriously but its time they did. Flossing can improve all stains overtime, especially the ones between your teeth." Dr.Siddhu adds, "Enamel is made of vertical glass-like rods which is why when you brush from side to side it can damage the enamel. Brush in small circles to avoid weakening of the teeth." CommentsIn extreme cases where the teeth are as yellow as the sun, professional whitening treatments might be your best bet. But for those looking to brighten up their smile and keep away the stains, the remedies mentioned above will work wonders. If there's anything you've been doing that worked for your teeth, do share it with us. Here's How Mustard Oil And Salt Help Keep Your Teeth Clean! Here's How You Can Make Your Own Natural Toothpaste At Home!